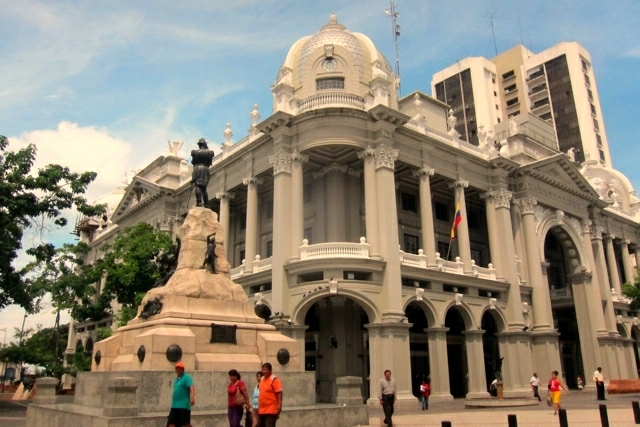 Guayaquil, the capital of the Guayas province is the largest and most populated city in Ecuador. It is the main port of Ecuador, thus, it is of great economic importance to the country. However, many travelers never stayed for more than a day. It is often used as a jump off point to other destination in Ecuador especially to dive the Galapagos. When I found myself in Guayaquil for the 3rd time (1 day in transit), I thought I’d take my camera for a walk. Although Guayaquil has a reputation of being dangerous, and about a million people warned me about it, the hostel reception said it’s fine to walk around the center. After over one year and one hundred cities of wandering, I’ve learned that when people warned you about a city being dangerous, you don’t necessarily have to lock yourself indoor, mindlessly wasting time. Take the usual precaution you would any where else. The key is always be careful and alert any given time. Don’t act like an easy target. So anyway, I went for a walk in Guayaquil center since I was staying in the centrally located Manso Hotel (http://manso.ec/). First stop was at the Tourist Information Center around the corner where 2 nice ladies gave me a 30 minute presentation and one hundred brochures of where to go and what to see in one day. 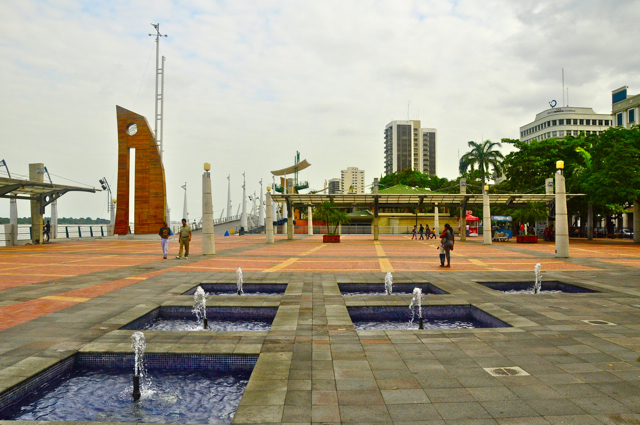 Malecon Dos Mil is the name given to the huge urban renewal project along the Simon Bolivar boardwalk. On this almost 2.5 km. waterfront walk you’ll find entertainment, culture and nature. 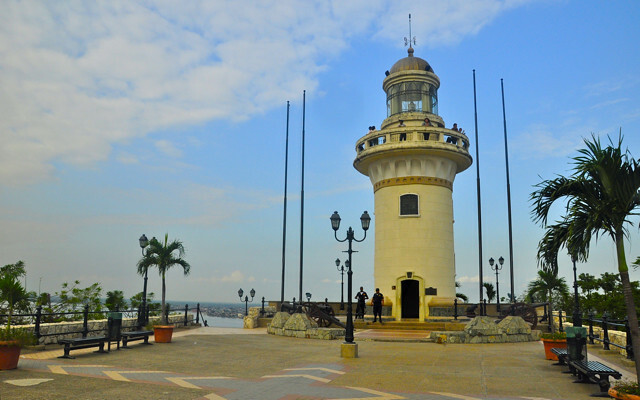 Malecon 2000 includes monument, museums, gardens, foundtains, shopping malls, restaurants, bars, and the first IMAX of South America as well as boarding docks and viewing points. The project was ultra modern, very clean and well maintained, so impressive that it makes me think of the sad state Manila Bay Walk. I often have thoughtful moments when faced with something impressive in a non first world country. At the end of the Malecon in the north you’ll come to the hill with colorful houses. There are 444 steps to climb to the top of the hill. It was an easy stroll up but may take you a while as there are lots of distractions along the way; restaurants, artisan shops, and art galleries. 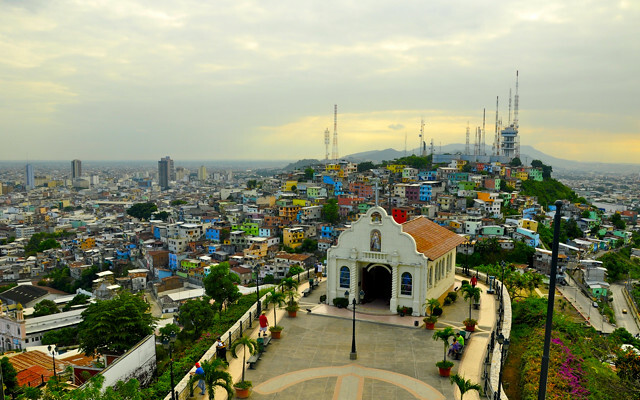 When you get to the top, there’s a charming little church and a lighthouse to climb (to complete the 444 steps) for the 360 view of Guayaquil. It was a pretty amazing sight. Adjacent to the stairway is the Las Peñas, the first residential neighborhood of Guayaquil. Its wooden houses hold memories of the writers and poets that inhabited the area. It goes back to the colonial times but was destroyed by the fire of 1896. 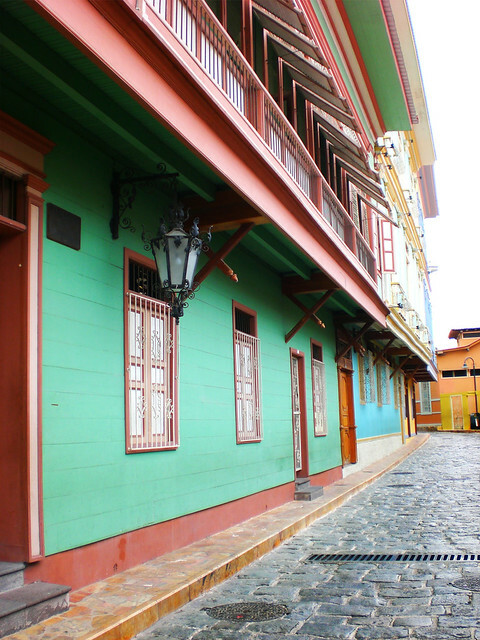 After years of neglect, Las Peñas has become the home of artists and intellectuals, and it was restored in the last few years. In 1982, it was declared a cultural heritage sight. 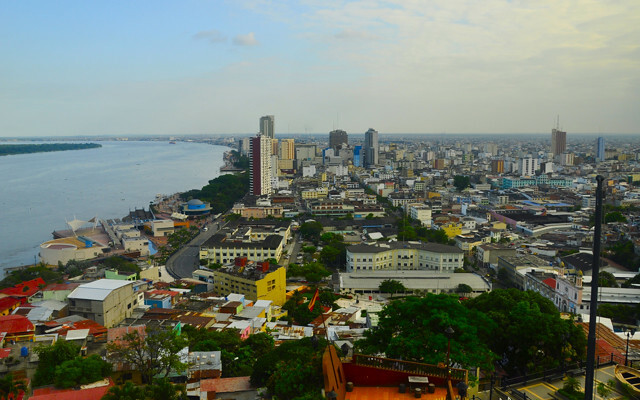 As it is clean, modern, and tropical climate, Guayaquil is a city I could live in. There are numerous restored historical buildings, museums, parks and garden, shopping centers, and night scene. You also have the nearby Cerro Blanco forest. 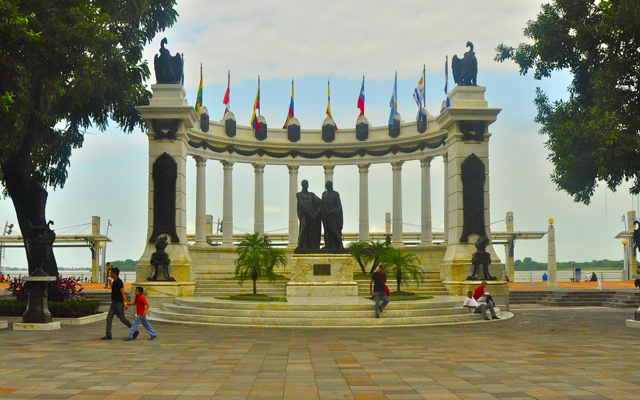 So when you find yourself in Guayaquil one day, know that there are places to go and see! Thanks for this. I am going to be going through Guaya on my way to and from Manta to visit friends next February, and trying to decide if we should do more than overnight. Your pictures are very nice. I have an 18 hour layover in Guayaquil and this was super helpful in making me more excited about my inconvenience. What gorgeous photos! So colorful! Good to know… I plan to get to the Galapagos Islands one day so I will plan to spend some time in Guayaquil as well. It looks very bright and friendly. I actually wrote a post about not getting robbed while traveling… the post includes mention of taking people’s warnings of danger with a grain of salt. What a find! 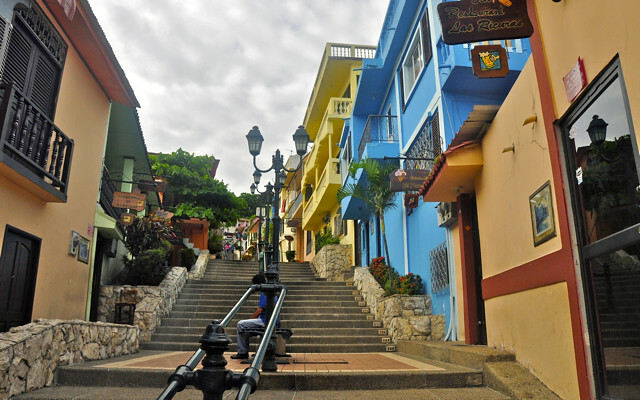 I haven’t heard much about Guayaquil, but I love the colors you found on Cerro Santa Ana and in Las Peñas. 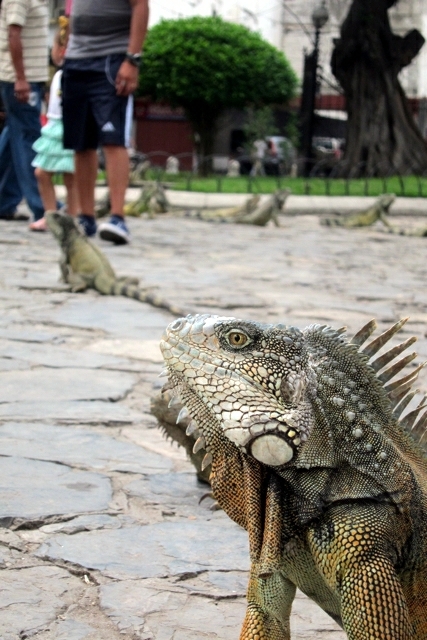 i didn’t even do a lot of research for guayaquil when we first talked about galapagos. the city certainly looks nice and the malecon dos mil surely got my attention. Kinda like Manila. You don’t know where to bring tourists but would have plenty of things to do as a local. Dining, shopping, cinema, sports, chilling by the bay.